Create “Cells”: Ad two drops of Silicone Oil Cell Medium to a mixture of 15 ml. 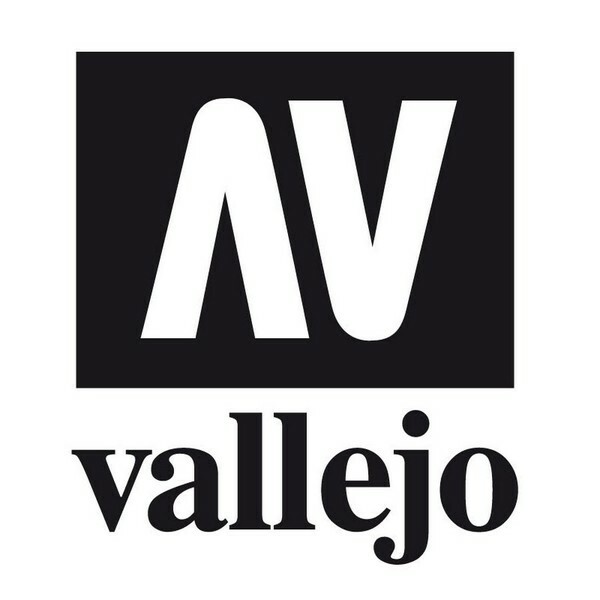 of Vallejo Pouring Medium and 15 ml. of Vallejo Fluid Color. Pour mixture on surface and apply heat using a kitchen blow torc at distance of 20 cm. Medium for the transfer of printed images to other surfaces. Apply Medium to surface, place image face down on Medium. For printed images, allow several hours. Moisten paper and remove by rubbing gently with finger. An acrylic medium formulated with mica, which can be mixed with acrylic colors to create an iridescent lustre or applied by itself for a silvery iridescent effect. Dicker Mörtel auf der Basis von grober Kieselerde und Acrylharz. Für grobkörnige und rauhe Effekte. Trocknungszeit reicht von 30 Minuten bis mehreren Stunden bei sehr dickem Auftrag. Wasserlöslich. Reinigung mit Wasser.